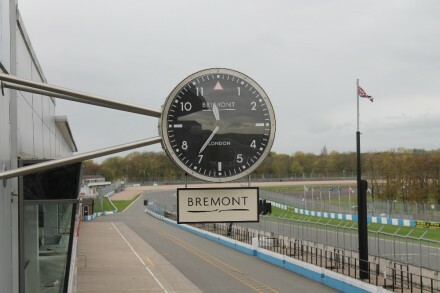 British luxury watch brand Bremont is currently Of cial Time Partner to Donington Park Racing Circuit. Bremont commissioned Smith of Derby to design and build a bespoke clock for a key location over the pit lane. 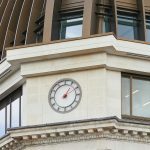 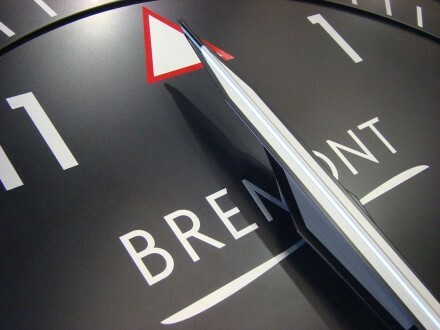 The clock is a double-sided projecting type, with the design based on the aesthetic of the Bremont SOLO range. 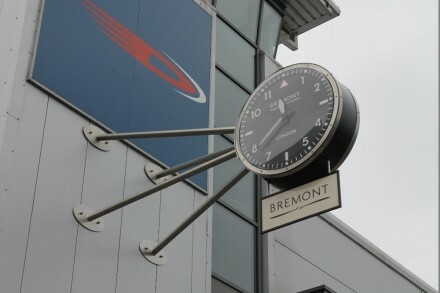 The aircraft style xings around the dial reference Bremont’s close ties with aviation and the bracket takes its cue from the suspension wishbone of racing cars. 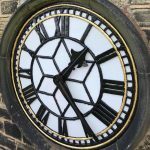 Internal illumination and synchronous drive with a backup system keeps the time visible for both racegoers and competitors.